Maynard Art Show: The Bahama Islands are especially beautiful. 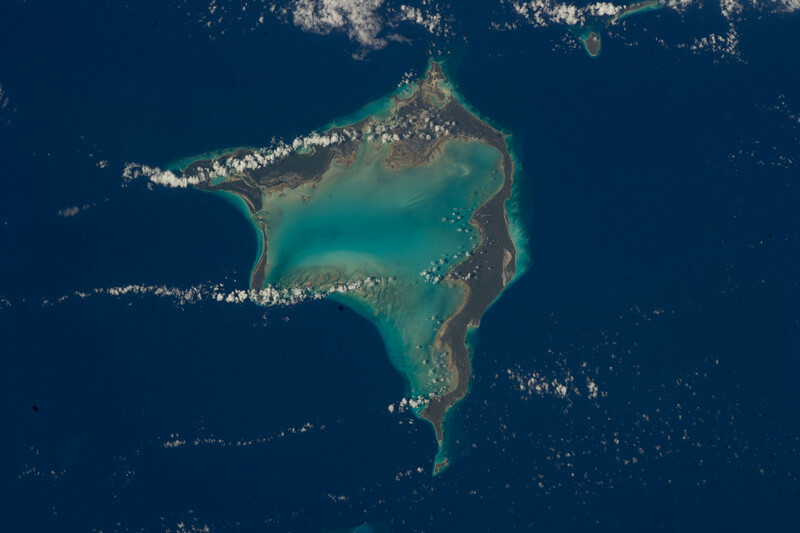 The shallow and clear waters in and around the islands make such dramatic views from space. The subtle and ethereal gradations of aqua come from the sunlight reflecting off the fine sand and coral, through the shallow ocean water. As the land drops off around the islands, the familiar deep blue dominates. In this image, wind passing from the right to the left rises over the land, forming cloud streaks that dissipate over the ocean. Crooked Island is relatively unpopulated, with 350 residents enjoying this ocean oasis.